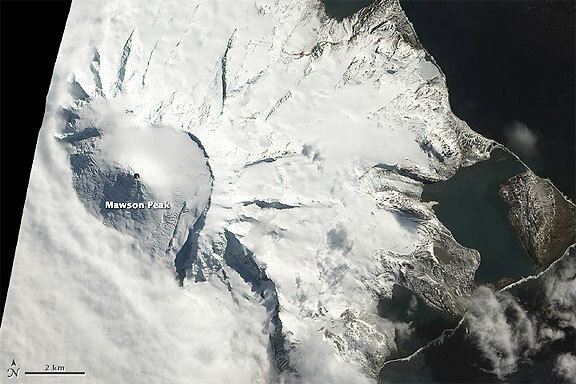 A NASA satellite image of Heard Island on October 13th shows Heard covered in a white ice sheet. The summit crater was unusually dark, with a possible lava flow in its crater. Strong heat signatures were detected in its crater. Another photo taken an hour earlier showed heavy cloud cover covering a possible volcanic plume.